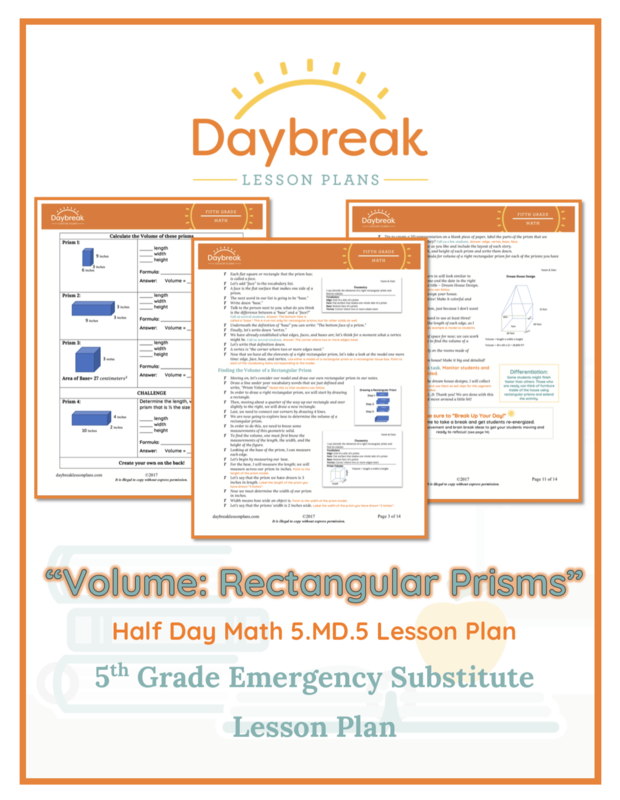 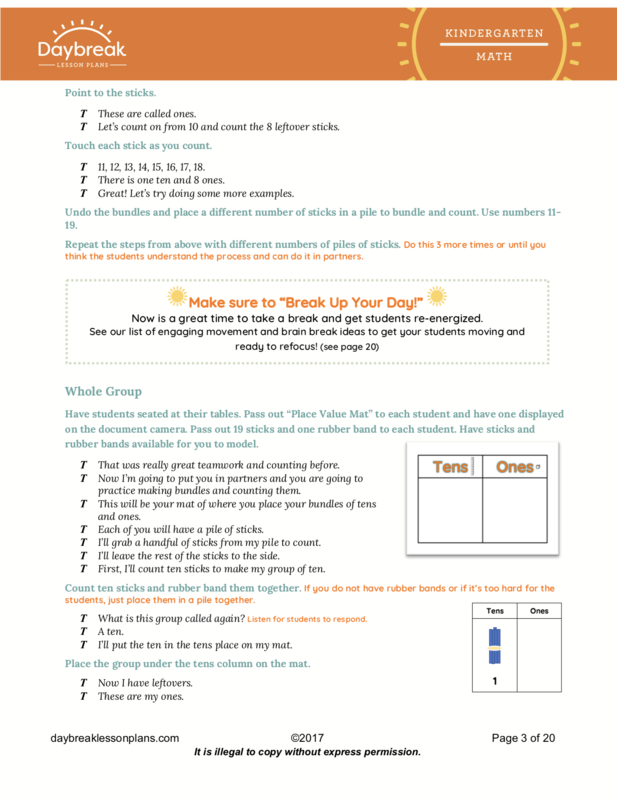 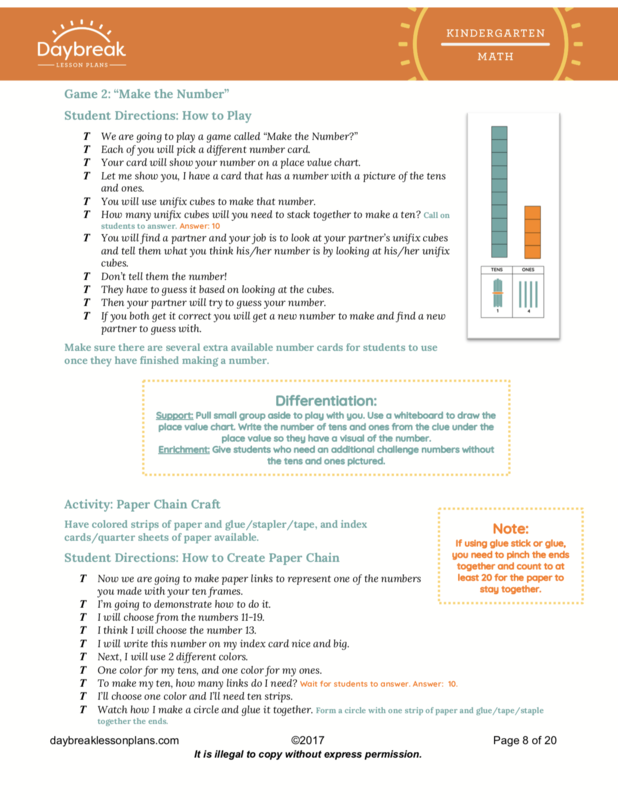 Description: Fifth Grade half day of math lesson plans containing 3 separate segments (30-60 minutes each) addressing Measurement & Data: Volume (5.MD.5). 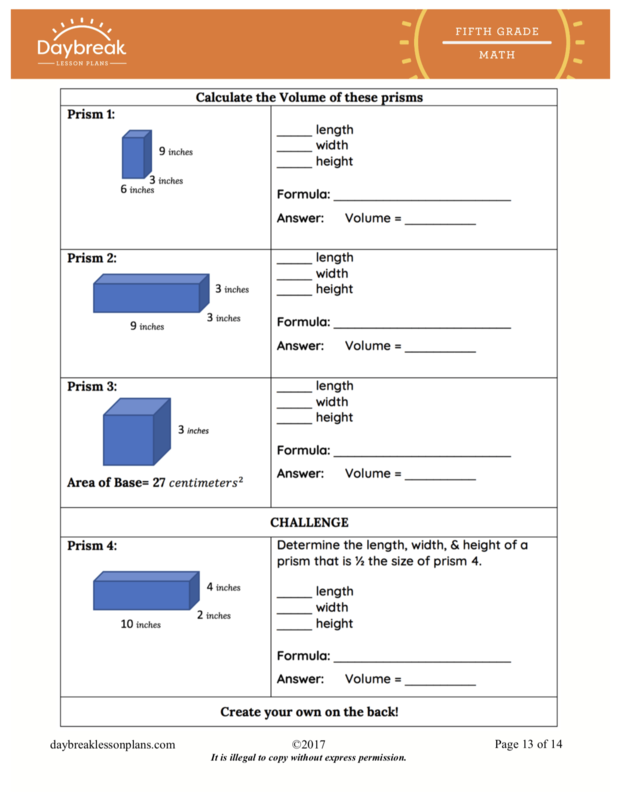 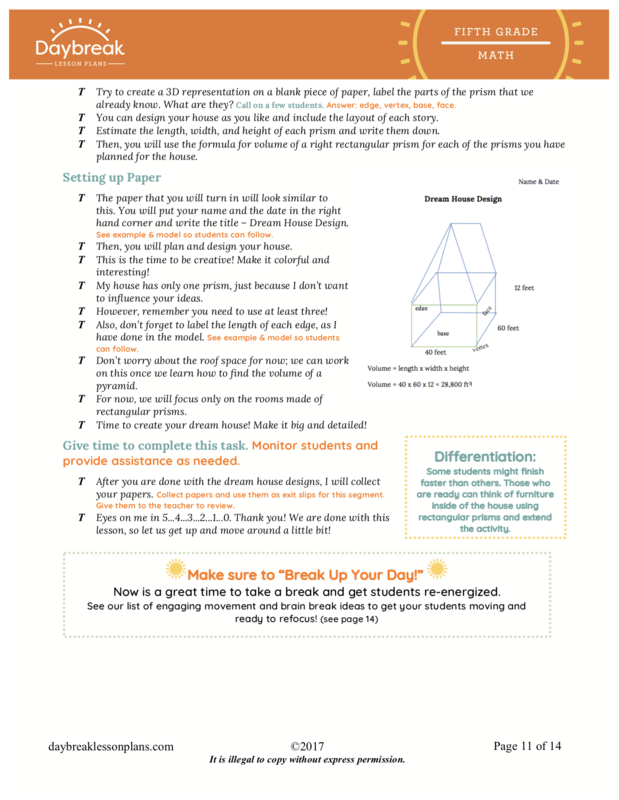 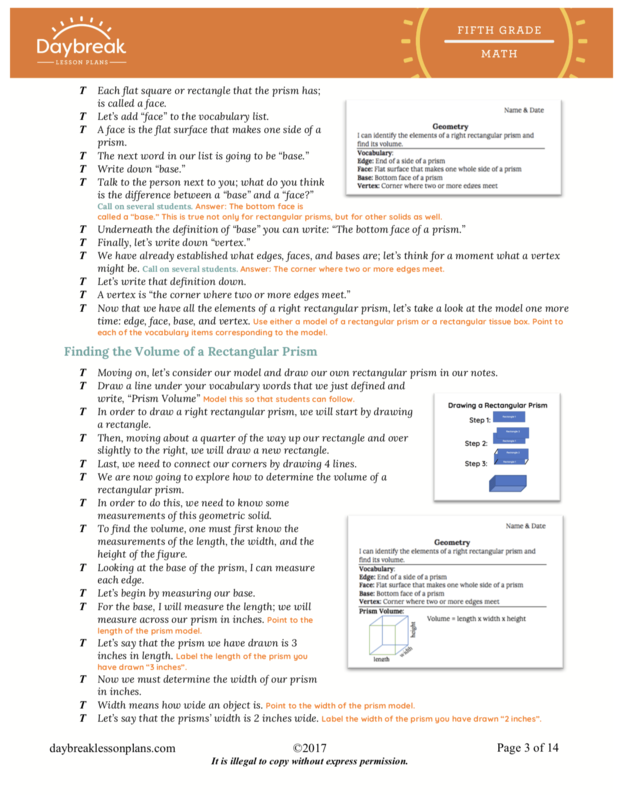 These lessons include: key geometric sold vocabulary, helpful student notes for reference, guided and independent practice of concepts, and an application activity of creating a house to reinforce the concept of finding the volume of a rectangular prism. 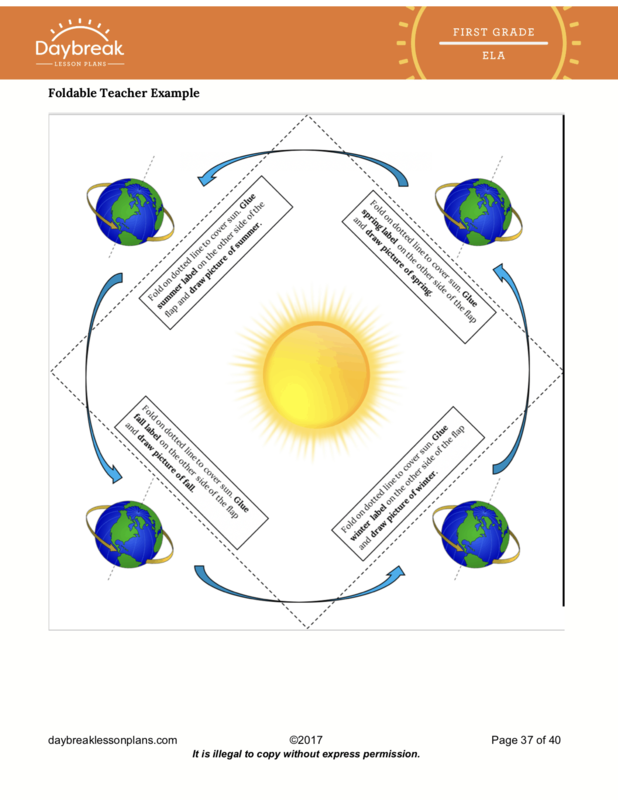 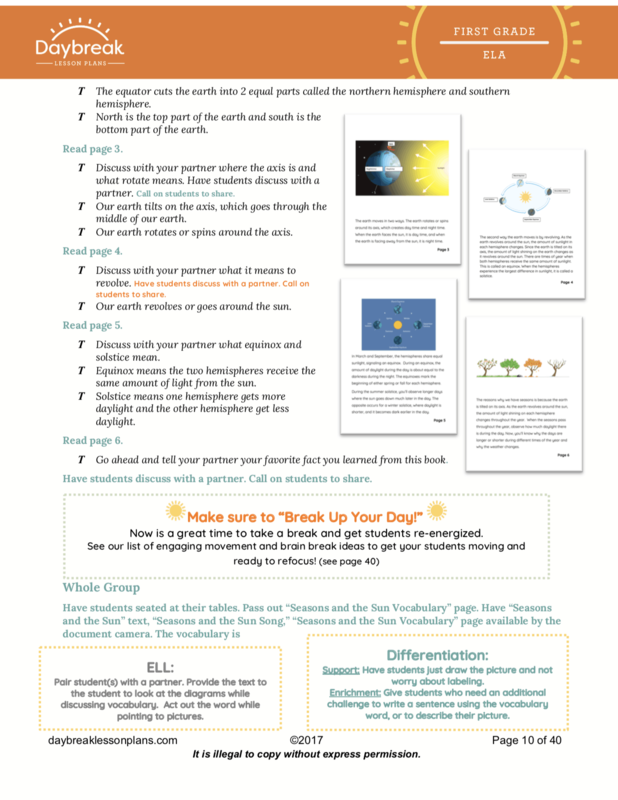 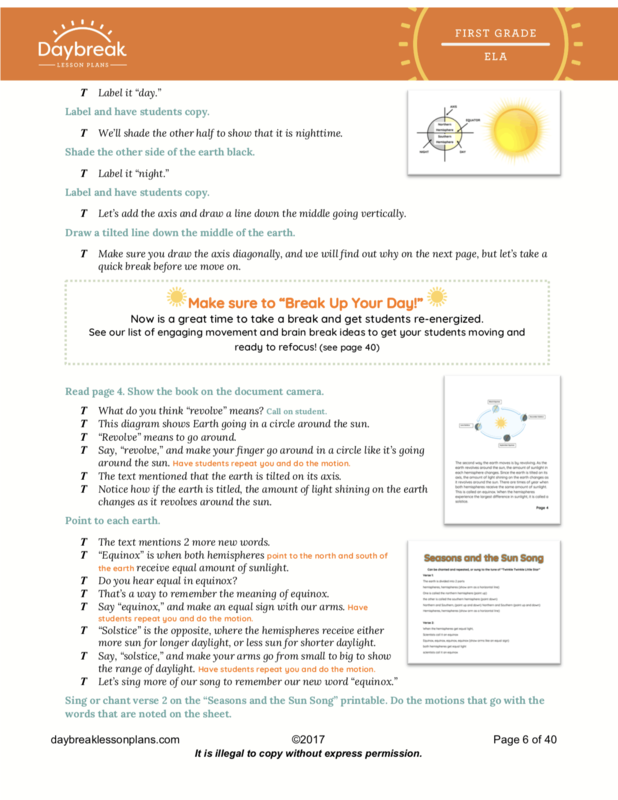 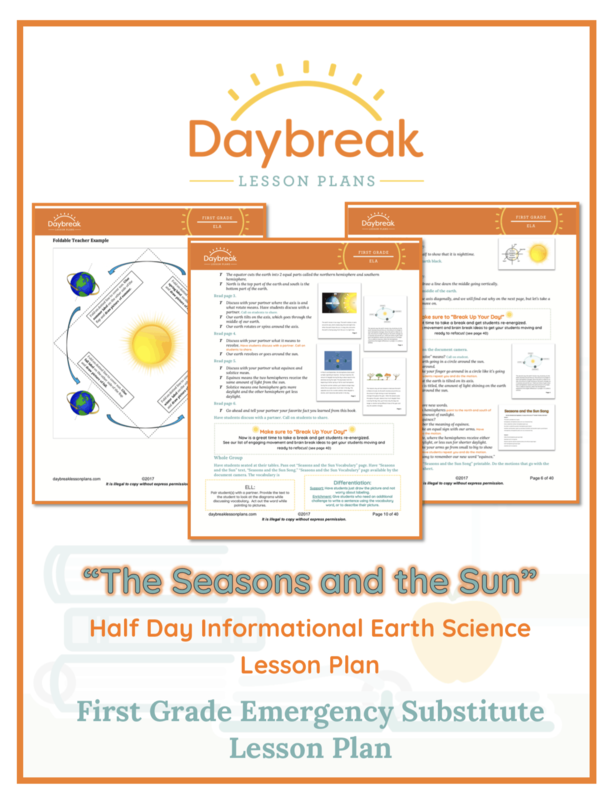 Description: In this half day lesson plan, divided into 3 segments, 1st grade students will discover concepts about seasons and the sun (rotate and revolve) based on the NGSS 1.ESS1-2 using diagrams, drawing, labeling, chanting and collaborative discussions. 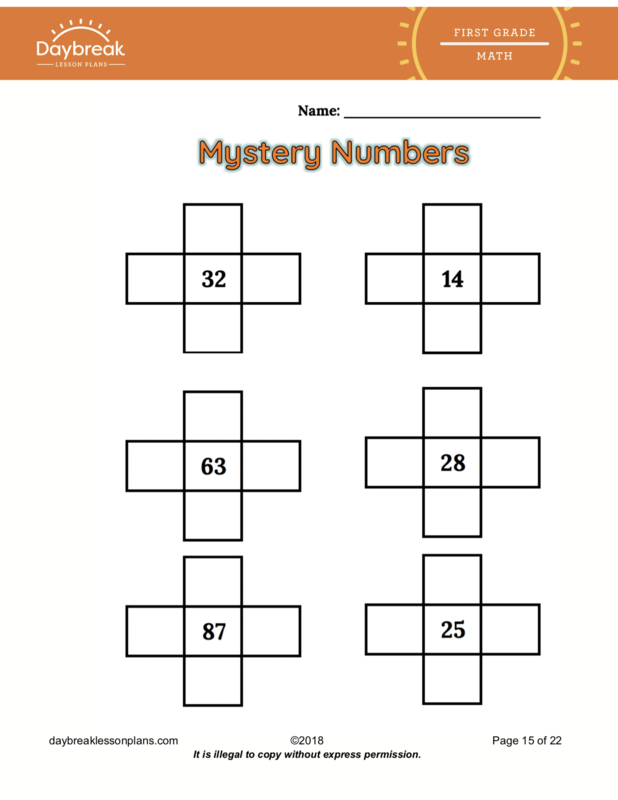 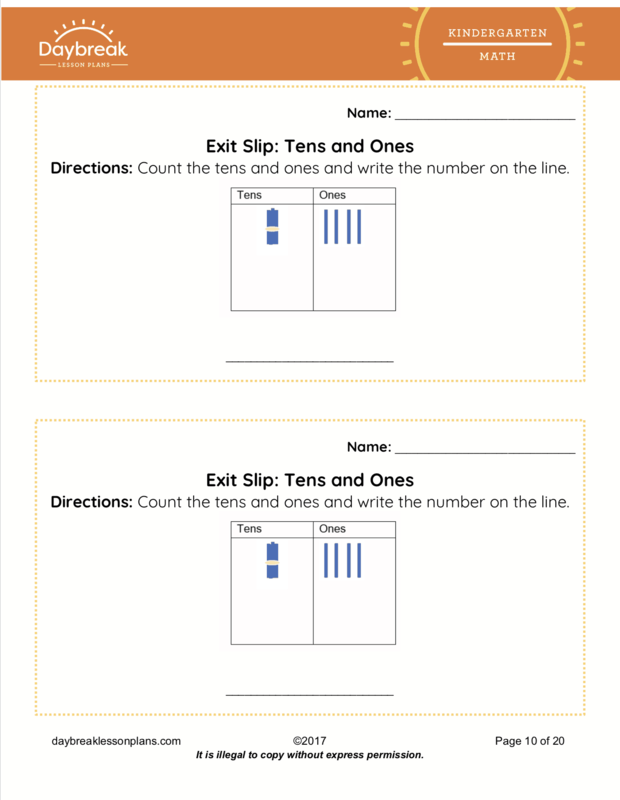 Description: In this 2 segment, 2 hour lesson, 1st grade students will practice understanding that the 2 digits of a 2 digit number represent amounts of tens and ones and mentally find 10 less or 10 more than a number without counting. 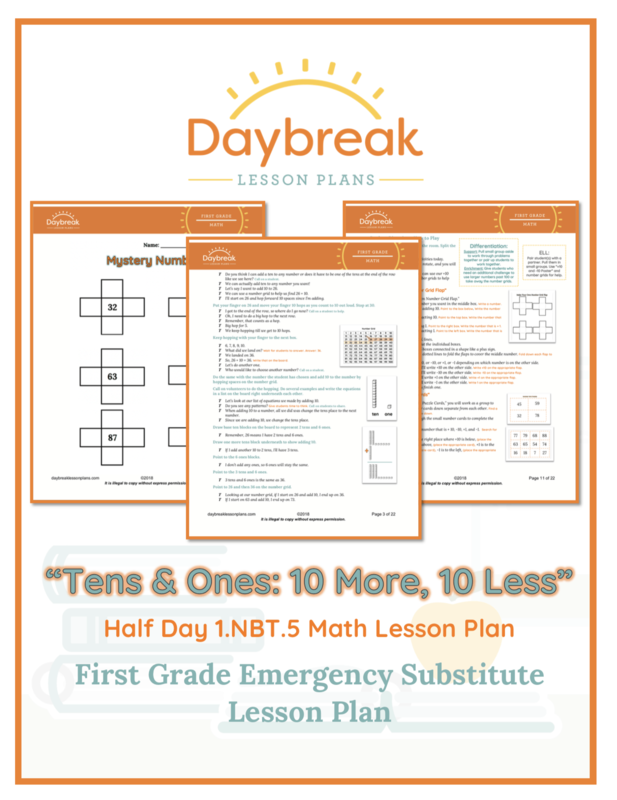 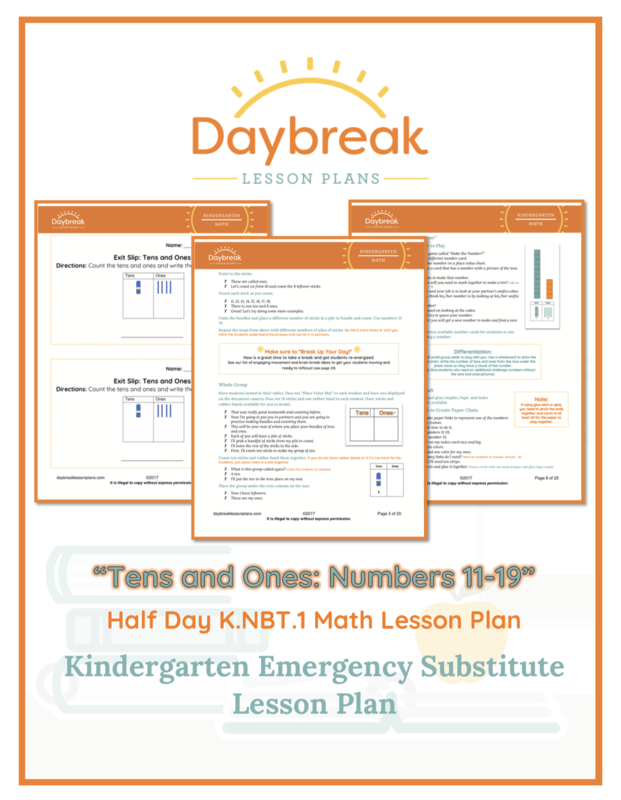 Description: First Grade half day of math lesson plans containing 3 separate segments (30-60 minutes each) addressing Measurement & Data: (1MD.3). 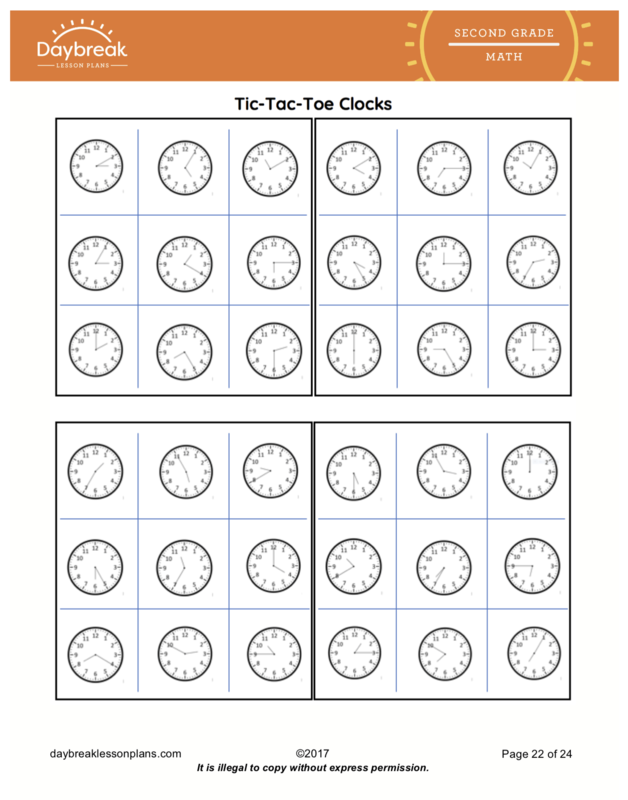 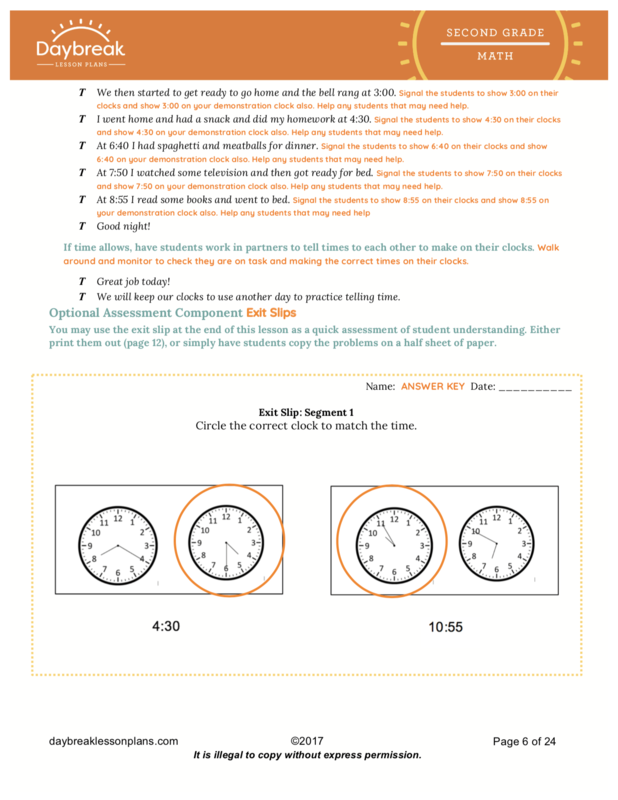 These lessons include: Introduction to Telling Time to the Hour, Drawing Hour and Minute Hands on a Clock & Writing Times and Games: I Spy a Clock, Tic-Tac-Toe Clocks. 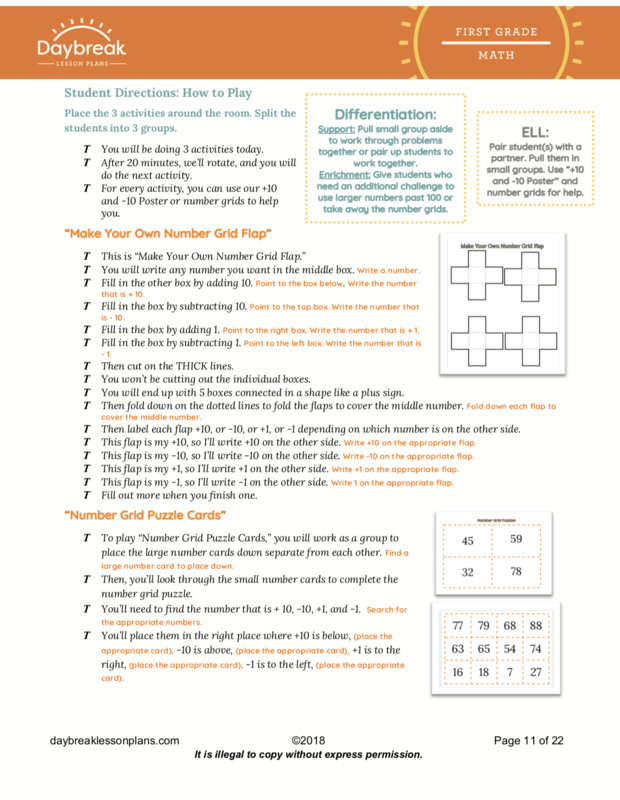 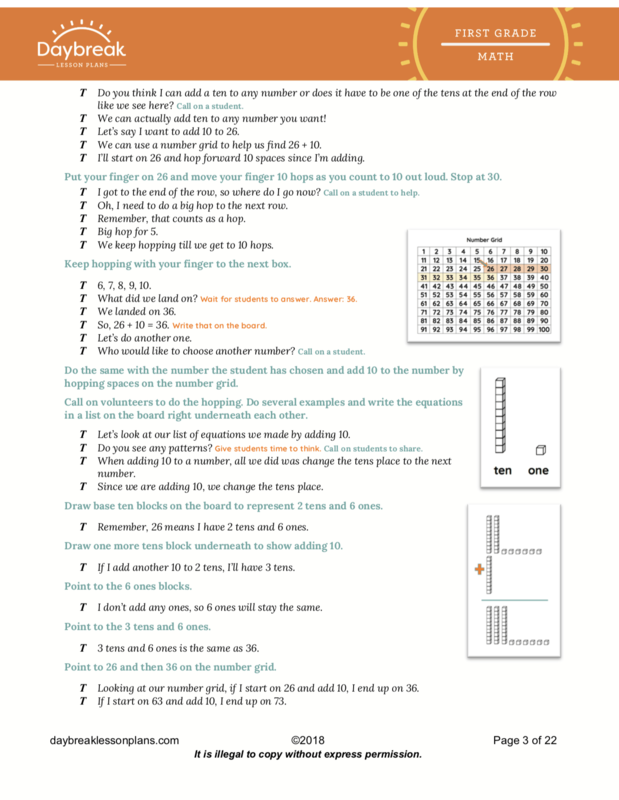 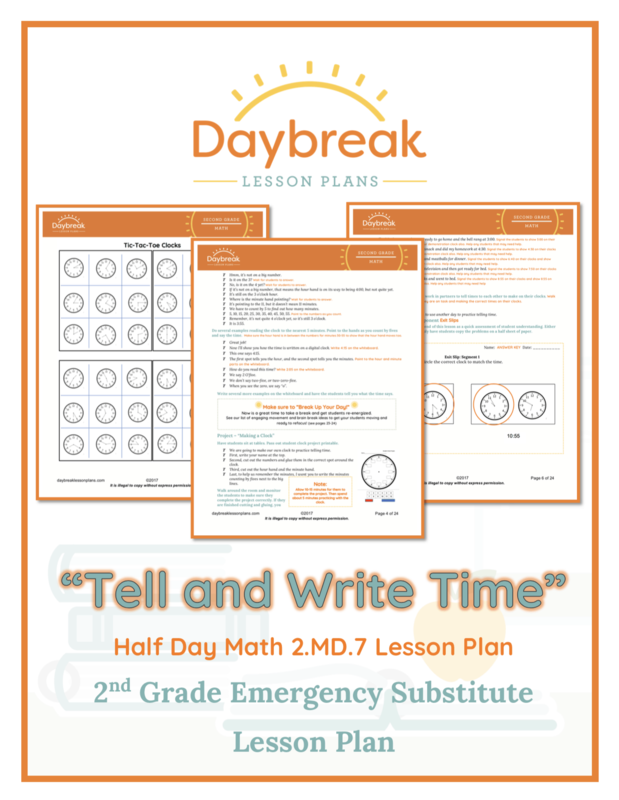 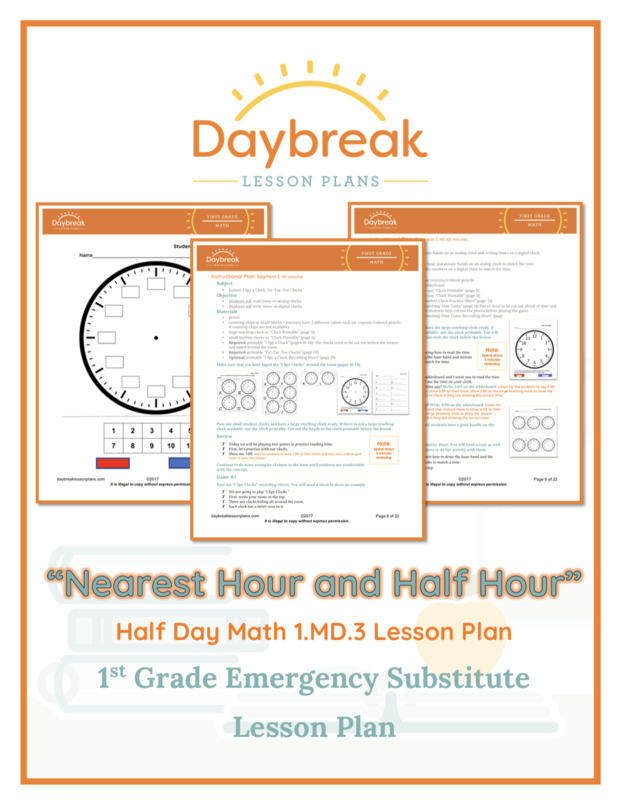 Description: Second Grade half day of math lesson plans containing 3 separate segments (30-60 minutes each) addressing Measurement & Data: telling time to the nearest five minutes (2.MD.7). 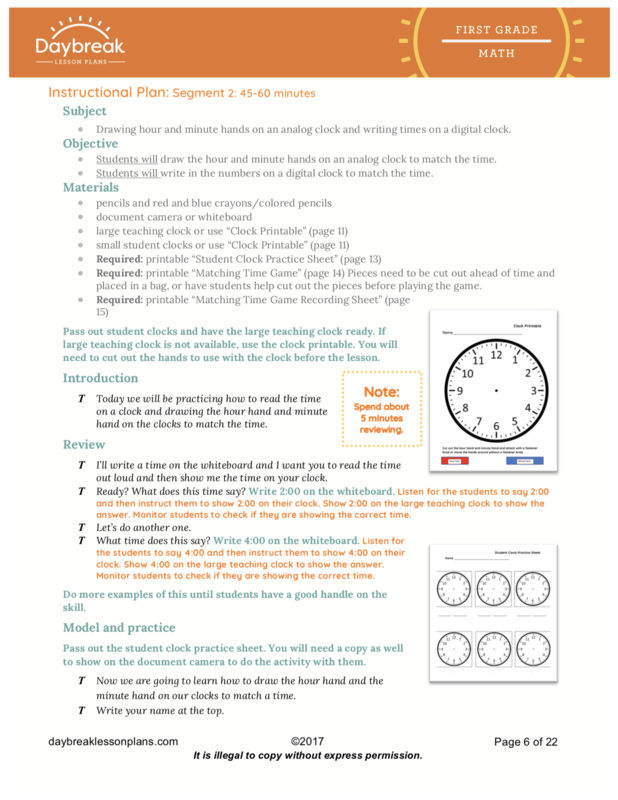 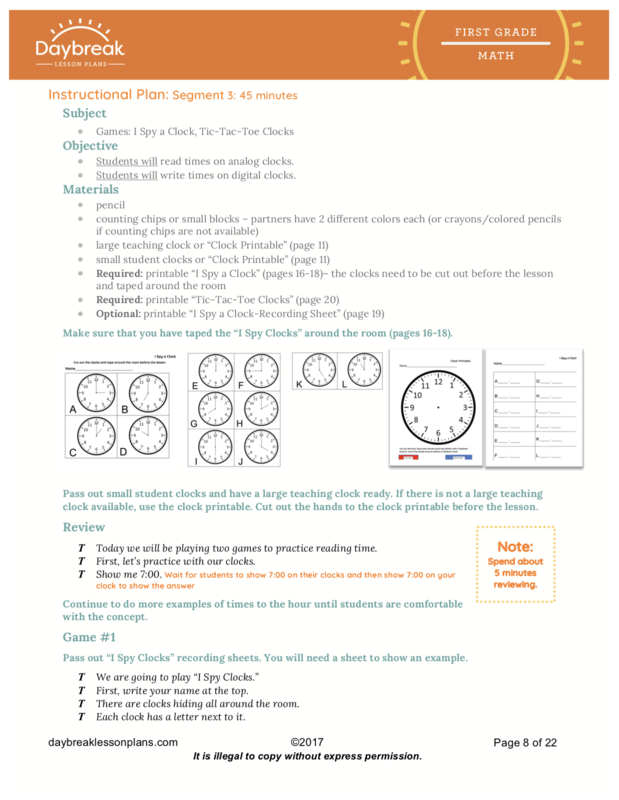 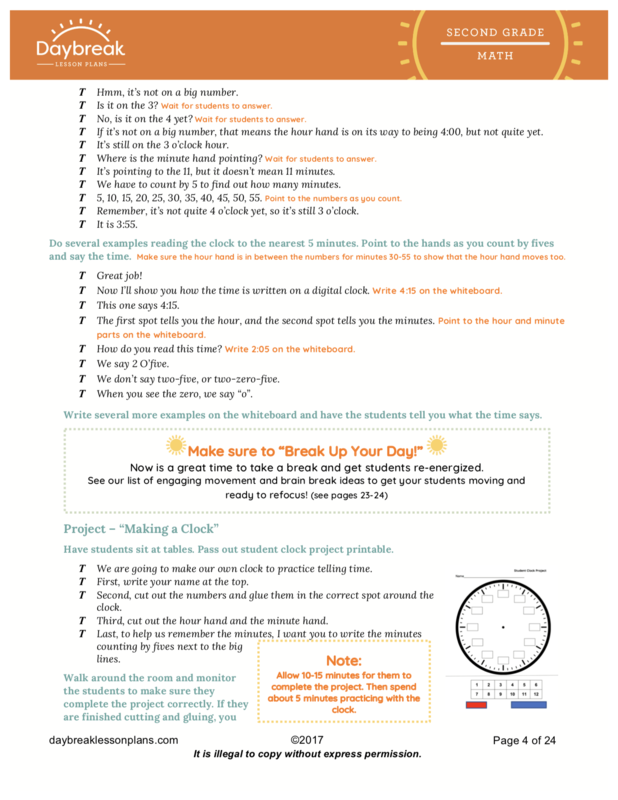 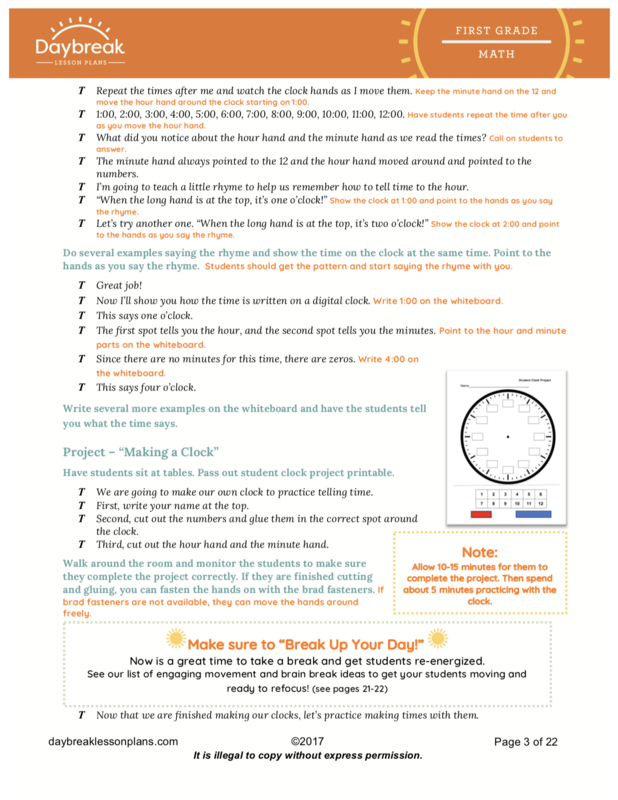 These lessons include: an introduction to telling time to the nearest five minutes, practice making time on clocks, a clock project, drawing hour and minute hands on clocks, matching digital times to analog clocks/matching analog clocks to digital times, and games to practice reading and writing time to the nearest five minutes.